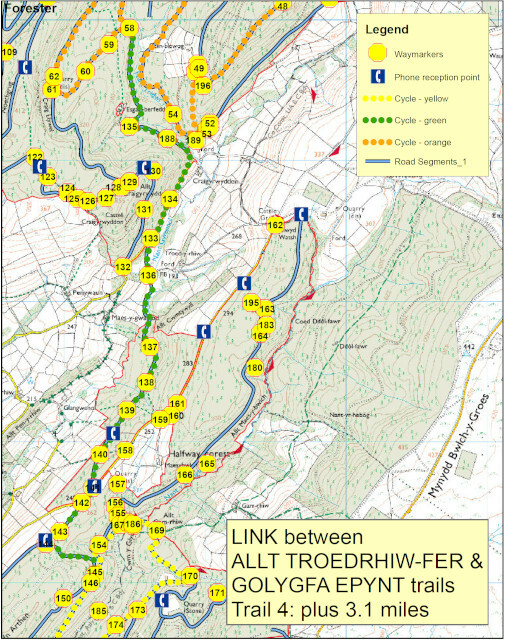 Follow this link which connects Halfway and Crychan forests. Enjoy the pastoral views over Cwm Gwennol as you freewheel down from Cefn Arthen. This trail links the Alt Troedrhiw-fer trail in Halfway to the Golygfa Epynt trail in Crychan. A link trail joins onto the Epynt Way.